Facebook IPO: The social network is getting $100 billion. You’ll get more ads. 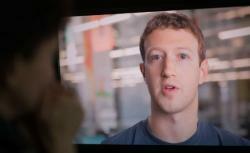 What Does Facebook’s $100 Billion IPO Mean for You? Don’t buy what any of these guys are selling. Eight years after its IPO, Google is still quirky, still sometimes surprising, and still wildly successful, but it is not at all unconventional. Just like any other company, Google has been swayed by pressure from investors to do things that once seemed unlikely—buying a phone company, for instance, or starting a social network. By many accounts, Mark Zuckerberg came kicking and screaming to Wall Street. He had no reason to take more cash from investors—Facebook is highly profitable as a private company—and he worried that his firm would be changed by Wall Street. That’s a legitimate concern, and he’s not the only one who should be concerned. You, humble user of Facebook, should be worried, too. Facebook.com won’t look any different in the minutes after Zuck rings the opening bell this week. But over time, inevitably, and perhaps even against Zuckerberg’s better judgment, the site will be tweaked to do better by shareholders. How? For starters, expect more ads. Lots and lots of ads, everywhere in all shapes and sizes, and then even more still. At the moment, Facebook’s ads are tame. If you access the site on a PC, the ads mainly pop up on the sidebar of the page, and I bet you almost never look at them. On mobile devices, meanwhile, Facebook has long been blissfully ad-free. But now that’s changing. In recent months, Facebook has added more ad units to the News Feed—right in the center of the page, with all the important stuff—on both PCs and mobile devices. Facebook claims these ads aren’t intrusive because they are “social.” They appear in your stream because they’re relevant to you based on your interests and your friends’ interests. For instance, if Slate decides that it wants to spend some money to promote my columns, Slate’s Facebook page could post one of my stories and pay Facebook to “promote” the post to all its followers. If you’ve previously Liked Slate, you’d see the post with my story in your feed. Would this annoy you? Probably not, if these sorts of ads showed up every now and then. When it unveiled its “Reach Generator” in February—the advertising product that increases how often a specific spot is seen—Facebook pointed out that in tests with Ben & Jerry’s, the ads turned out to be a huge hit. Ben & Jerry’s ads were seen by 98 percent of its fans, people would Like and comment on many of them, and the ads seemed to push people to go out and buy more ice cream, even in the middle of winter. Ben & Jerry’s marketing department estimated that the ads delivered a three-to-one return on investment—that is, for every dollar the company spent on Facebook ads, they saw $3 in sales. The problem for Facebook is that one or two ads by beloved companies like Ben & Jerry’s just isn’t going to cut it. To justify Facebooks’ $100 billion valuation, investors are going to expect amazing growth in its revenues—something on the order of 25 to 30 percent per year, according to analysts. At the moment, Facebook makes nearly $5 in revenue per user per year, and just $1 in profit per user per year. Because it will be difficult for Facebook to attract far more than a billion users—there are only so many Internet-enabled people on earth—its revenues must grow by selling each user for more money to advertisers. As my colleague Will Oremus explained last month, Facebook has to find a way to generate an order of magnitude more money from each of us. If it doesn’t make steady progress on that goal every single quarter, its stock price will fall—and even though Zuckerberg is very well insulated from shareholder revolt, a falling stock price will hurt Facebook’s ability to hire the best engineers, to acquire the best startups, and even to attract more ads. This is how the bombardment will begin. Like urban graffiti, the ads will show up with greater frequency in your feed and on your phone. Then they’ll begin to put them in parts of the site you didn’t even know existed. Not long ago Facebook began selling the “logout page,” the screen you see when you’re done with the site, for $700,000 a day. (I just logged out and saw a big ad for Samsung.) What other such unexploited places will come next? The relationship update page (change to “single” and you see an ad for Match.com) and the events page (create a birthday invitation and see an ad for bouncy houses) are great possibilities. This sounds silly, but hey, look, Facebook just began testing a way for users to pay a small fee to get their status updates seen by most of their friends. If Facebook will now allow you to bother your friends for a fee, what won’t it do? And it’s not just Facebook.com. Very soon you can expect Facebook’s ads to migrate far beyond its realm. The site’s elements—Like buttons, comments, login functions—already appear all over the Web. Facebook will likely expand these third-party relationships into a full-blown advertising network, an effort to have relevant ads follow you wherever you go online. Now when Ben & Jerry’s pays Facebook to promote a post, you’ll not only see it in your Facebook feed on your phone and your desktop, but it could pop up right here in Slate, alongside this article. Zuckerberg will obviously need to balance the whims of advertisers against the desires of users. If more ads push users away, that will hurt his revenue, too. Facebook, to its credit, makes most changes by evidence and experimentation. When it comes up with new ad products, it usually tests them out with a subset of users to see how they perform for both advertisers and advertisees, and then it ramps up or down the ads’ presence accordingly. I don’t expect that practice to change, and if a particular ad or advertising style proves extremely irritating to users, Facebook will surely eliminate it.